This is an article from our archives that was previously run on another site in November, 2009. The family behind Arché Pagès has been making wine for the last four generations with the current winemaker, the son, Bonfill taking over in his mid twenties; lucky guy. This name is a very old Catalan name which was his grandfather’s and it means, “good son”. Obviously, it’s a bit to live up to. 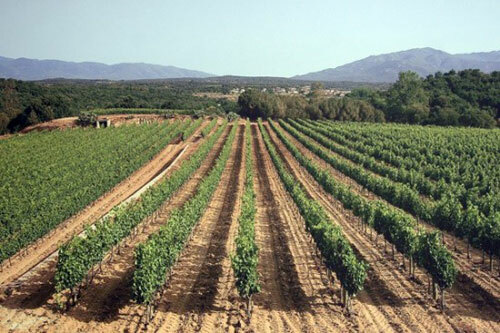 But of the 14 hectares that they grow on and produce 40-45,000 bottles from, there is enough Garnatxa to go around so that every wine has some. We saw a similar approach in Cantallops where there is a strong belief in the power of Garnatxa as it is an awesome wine. Anyways, on to the wines themselves. Sàtirs Blanc has a tart, melon nose that is quite refreshing. The fact it gets no oak leaves it a bit dry, although it is generally rather plush. There is a touch of peach and pear to it, but it remains rather bitter at the end. Then there is Sàtirs Negre (or red) which is very light, gentle wine of about 40% Garnatxa, 30% Cabernet, and 30% Carinyena. There are touches of licorice and mint to the nose, but it loses a good deal of this on the finish, while at the same time remaining quite clean. It should noted that since this initial tasting, I’ve tasted the newer releases and find them to be a great deal more enjoyable with brighter flavors and more bang for the buck. Cartesius starts to get more bold. The nose is stronger with a great deal more oak, but it still retains the fruit and berry elements that you find in the Sàtirs. The body is quite dry, but not in an unpleasant manner. The 50% Garnatxa, 30% Cabernet, and 20% Merlot mix works quite well in balance as well as dusting out a touch of sour cherry on the body as it breathes more. 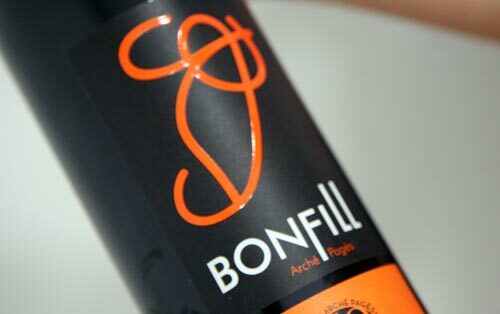 Bonfill is their top of the line wine and is the namesake of the winemaker. It’s 70% Garnatxa and 30% Cabernet, but more importantly, it spends 14 months in new French oak. Apparently they tried American oak with a small batch but didn’t care for it. The nose is deliciously smooth with cinnamon and spice to it. The French oak really comes through on the nose as the vanilla heats up quite quickly. The body is wonderfully smooth and clears out very well. Definitely a tasty wine that I’ve enjoyed since the visit as naturally I bought some of it.